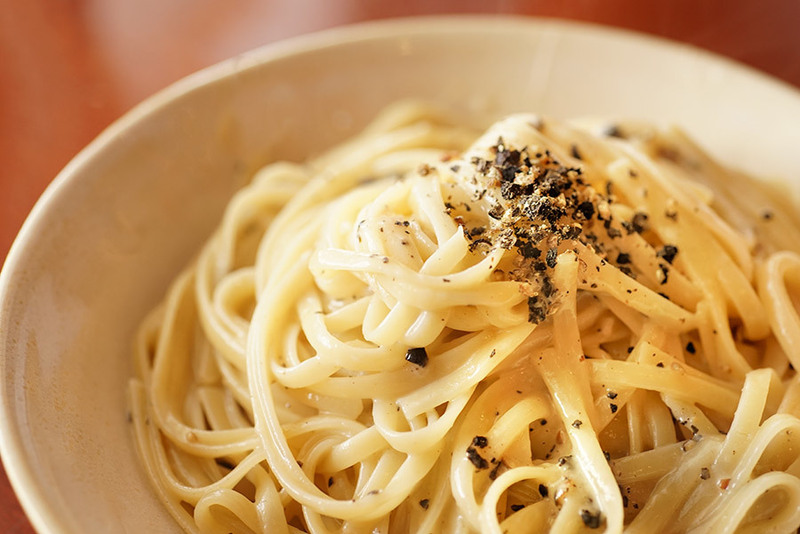 Cacio e Pepe is a classic Roman dish. Purists insist it should only contain pasta, cheese, and pepper, but we like the texture with a little butter and/or olive oil. 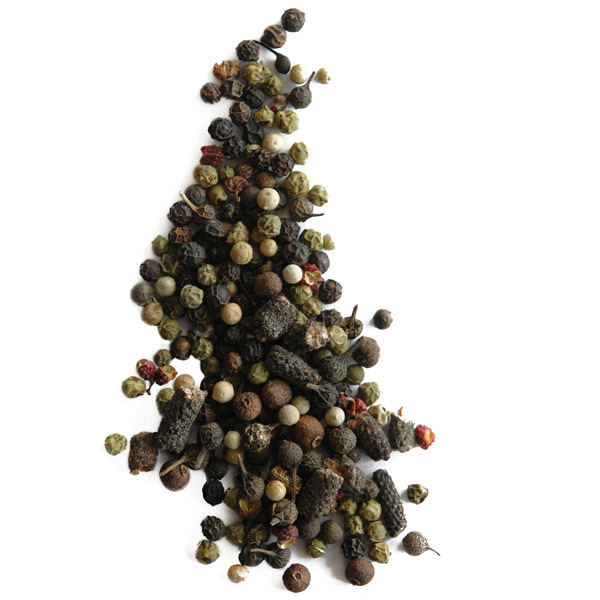 For us, there’s really no black pepper more suited to this dish that Yupanqui. Feel free to adjust the quantity; the amount in this recipe is quite generous (and wonderful). We recommend using quality parmesan and Romano that you grate yourself. This will assure the cheese melts evenly and sticks to the pasta. 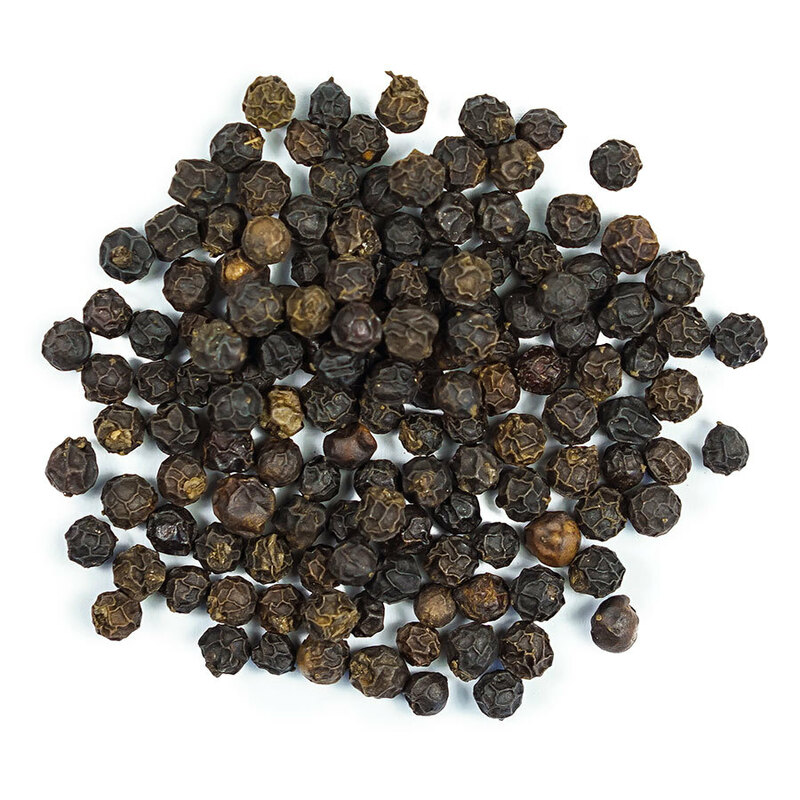 Crack pepper in large chunks in a mortar. Set aside. Boil 3 liters of water in a large pot. Add salt and pasta. Place a large pan on medium heat. When hot, toast cracked pepper until fragrant, 15-30 seconds. Immediately pour ¾ cup of the pasta water into the pan. Add butter and oil. Set 1 cup pasta cooking water aside, then drain pasta 1 minute before its al dente. Transfer pasta to a pan and gradually add cheese while stirring constantly. Add enough of the reserved pasta water so the cheese melts and coats the pasta.